"He does have similarities, of course. If he wants to be at Cristiano's level, Anthony knows what he has to do. It's up to him. He has the talent." 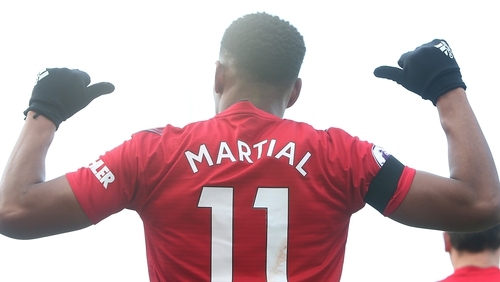 Had the former United boss got his way, there is a chance Martial may have been lining up for Paris St Germain rather than United in Tuesday's Champions League last-16 first leg. "When you play against the best teams, you want to play against the players," Solskjaer said. "The crowd want to see the best players. Too bad for Old Trafford. "I have played a couple of games when we played Real Madrid and Ronaldo and (Luis) Figo and all those were coming to Old Trafford. That gives it an extra edge. "Unfortunately for Neymar he is injured, but of course he is a quality player. I think our right-back thinks it is not too bad he will not be here."